OWoN: Look at the reality of trade as Russia grows, but who with? Another sign that Russia is turning its back on the west. Vice-President of the major Russian rail company Russian Railways JSC Alexander Saltanov said Thursdayy that "amid the sanctions introduced by the European Union and the United States, the cooperation with our Asian partners in the area of rail transportation gains special importance." Moscow - The major Russian rail company Russian Railways JSC is increasing its cooperation with Asian countries amid sanctions introduced against Moscow by the West over the Ukrainian crisis, Russian Railways Vice-President Alexander Saltanov told RIA Novosti on Thursday. “Amid the sanctions introduced by the European Union and the United States, the cooperation with our Asian partners in the area of rail transportation gains special importance. Joint projects to create a unified system of transport and logistics infrastructure are under development. Primarily with our partners from North Korea, South Korea, China and Mongolia,” Saltanov said. Saltanov added that Russian Railways is hoping to attract Asian partners to participate in Russian high-speed railways development projects and that the participation of foreign partners will help to introduce new, advanced technology in Russia. “Development of scientific-technical cooperation with Asia-Pacific countries is relevant for us,” Saltanov explained, stating that the Asian partners in their turn would be able to benefit from Russia’s experience in organizing heavy freight traffic, combining cargo transportation and the transportation of passengers on the same railway, as well as using modern technologies to control rail traffic using satellite navigation systems. Since March, the European Union, the United States and their partners have imposed several rounds of economic sanctions against Russia over the country's alleged role in the Ukrainian crisis, while Moscow has repeatedly stated that Russia is not a party to the Ukrainian internal conflict. The head of Russian Railways Vladimir Yakunin was on the list of Russian individuals, targeted by the US sanctions. Russian Railways JSC is focused on the creation and development of new tracks and transport routes to deliver cargo from China to Russia, Russian Railways Vice-President Alexander Saltanov told RIA Novosti on Thursday. “Of course, Russian Railways’ attention lies with the creation of new transport routes to deliver cargo from China to Russia, CIS countries and Europe. The routes developed earlier by our subsidiaries to deliver cargo in the Asia-Pacific region-Europe direction are in demand. But the market is not on standby, and to keep rail transport competitive we need to offer clients new ways of shipping goods and quality comprehensive services. Our cooperation with our Chinese partners in this area should yield good results,” Saltanov said. In October, the Russian government signed a memorandum of cooperation on a high-speed railroad with Chinese officials. The purpose of the document is to develop a Moscow-Beijing Eurasian high-speed rail transport corridor, including the priority project of a Moscow-Kazan high-speed rail line. In the wake of western sanctions against Russia's key economic sectors, Moscow has energized its technology cooperation and trade ties with China. Beijing is Russia's largest trade partner, with the trade turnover between the two countries expected to reach $100 billion by 2015. Russian Railways JSC is currently working on railway infrastructure projects in Vietnam, Indonesia, Serbia, Russian Railways Vice-President Alexander Saltanov told RIA Novosti on Thursday. “During 2014, our company has been working with An Vien [from Vietnam] to develop a project to build a 240-kilometer-long railway (149 miles) from the bauxite deposits in the Dak Nong and Binh Phuoc provinces to the sea port Vung Tau. The concept is now under consideration by the Vietnamese government. After the government’s approval, further talks with the Vietnamese side will concern the organizational and financial models of the project,” Saltanov said. Speaking about the Russian Railways project in Borneo, Saltanov said that construction works are planned to commence in 2016. “Specialized project company PT. Kereta Api Borneo signed a contract this year to document the developmental Front End Engineering Development phase alongside Australian company Aurecon and has set the base conditions for the EPC contract, which may be completed by a consortium comprising RZDstroy [Russian Railways subsidiary], South Korean and Indonesian companies… Construction works are planned to commence in 2016,” Saltanov said. Russia also has five separate projects underway with Serbia including building railway infrastructure and delivering diesel trains. “Works on the first project – the building and electrification of 16 kilometers (9.9 miles) of the second railway track of the Belgrade-Panchevo railway began on March 25, 2014 as earlier planned. This has been financed from June 30, by the Russian Ministry of Finance,” Saltanov explained. Russian Railways is the second-largest rail network in the world with 85,200 kilometers (52,941 miles) of track, with more than half of it electrified. The company carries over 0.95 billion passengers and 1.2 billion tons of freight annually across 11 time zones. 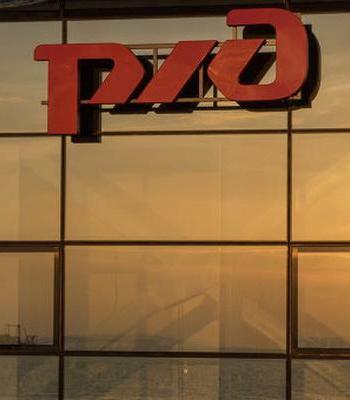 The state-owned joint-stock company is also one of Russia’s most profitable companies. 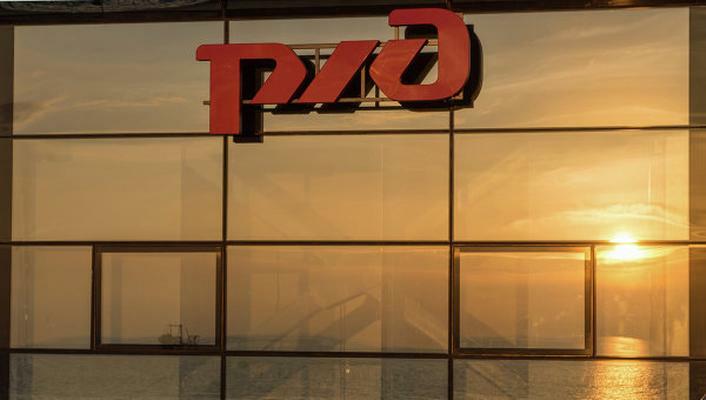 Russian Railways is expanding with East-West and North-South transport corridors and is cooperating with several countries to increase revenues and integrate Russia into the global economy.